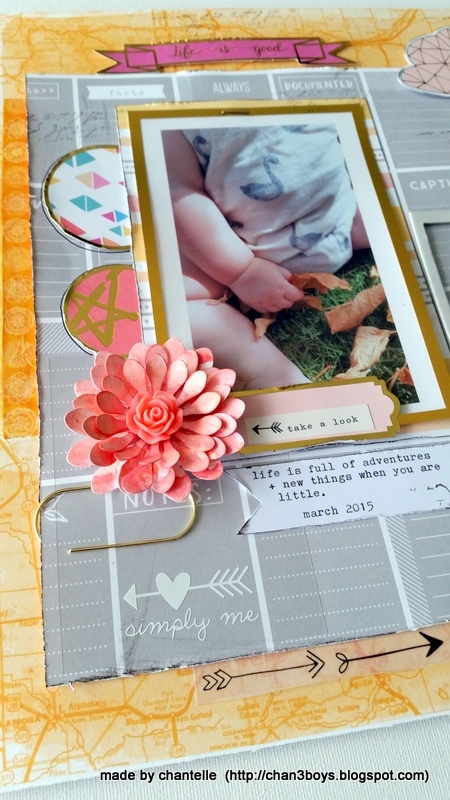 Hello there, Chantelle here today, sharing my third layout with the 'Playful' Scrapbooking kit. Orange is one of my favourite colours, so I decided to use this 12x12 paper by American Crafts as my base, for this page. It matched in well with the colour tones of the photo. I've used a few of the overlays - these have been so fun to work with. And I've made good use of the die-cut pack from Pink Fresh. 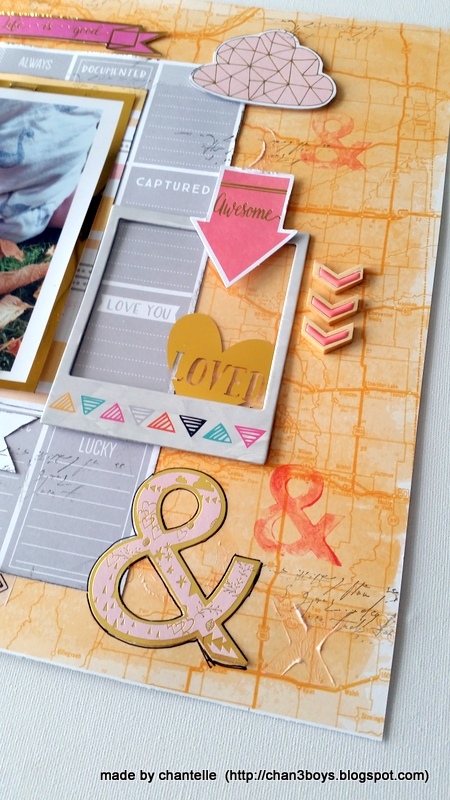 The kit included two chipboard frames by American Crafts - I've used one here with an overlay by Simple Stories. We have the gold heart and then you still get to see the paper underneath. Love this layering effect! I've imitated the large die-cut 'ampersand' with a stamp & gelato's. The cute wooden chevrons are by Pink Fresh - not included in the kit but available in the shop! I always love to add a handmade embellishment to my page - here I've used a flower die-cut from my stash with white cardstock. To add colour, I've simply sprayed with Heidi Swapp Color Shine - you can find a selection of colours in the Scrappy Canary Store. I hope you are having fun with your own kit!